Become an affiliate – A serious partnership, but it’s simple and you get paid! • An easy way to earn money from your website! Why run a TicTacPhoto promotion? 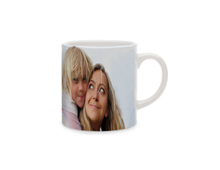 Since 2004, TicTacPhoto has been active in selling online customisable Photo Products. We are constantly innovating with new products. TicTacPhoto Products have been really successful, so don’t waste time – join us. Thanks to TicTacPhoto brand notoriety and the association with your website, blog or otherwise, you can benefit from the chance to publicise your site and also to earn an attractive income. It’s a simple, practical partnership: everything is handled by the affiliation platform you choose. You can then keep track of the income you generate from your banners in real time. Why not join our affiliation programme? 1. Create an account on your preferred affiliation platform. 2. Register with the TicTacPhoto programme. 3. Select one or more banners from those available. 4. Install the banners on your website by adding the link with which you have been provided. 5. Check the commission you earn online in real time.